This Hotel Break for Two in Derbyshire at the historical George Hotel with dedicated staff and stunning surroundings, making it sure to be a romantic break in this relaxing setting. The Hotel Break for Two in Derbyshire at The George Hotel Hathersage is an exceptional hotel with history and charm, to make for a perfect couples retreat. Your one night stay in this amazing hotel will include Breakfast, a bottle of house wine, a delectable fruit basket and full access to the leisure facilities. The George Hotel Hathersage is a 500 year old structure, offers dedicated staff with a luxurious atmosphere for relaxation and unwinding in these beautiful surrounding. Located in the heart of the Peak District, it is the perfect place for some rural solace. 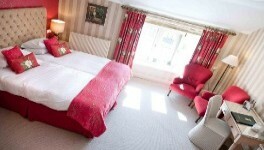 Your Hotel Break for Two in Derbyshire is great for those who want an adventure or just a break away. 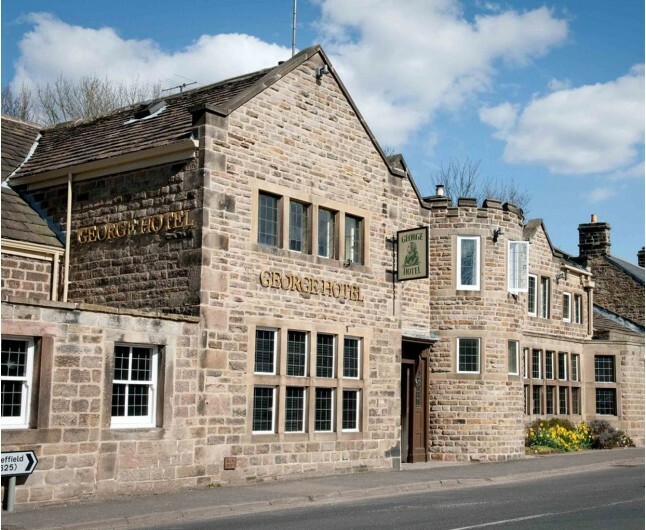 There s so much to do around The George Hotel including Chatsworth Farm Shop, Chatsworth House, Hardwick hall, hiking and biking in the Derbyshire Dales and so much more. The George Restaurant offers mouth watering British cuisine. The fine dining restaurant has carved an impressive name for itself over the last 18 years, and recently received two AA Rosettes for its incredible standards and exceptional quality. The extra little touches like attentive yet unpretentious service, atmospheric lighting and the fusion of the traditional and contemporary really sets this place apart from the rest. 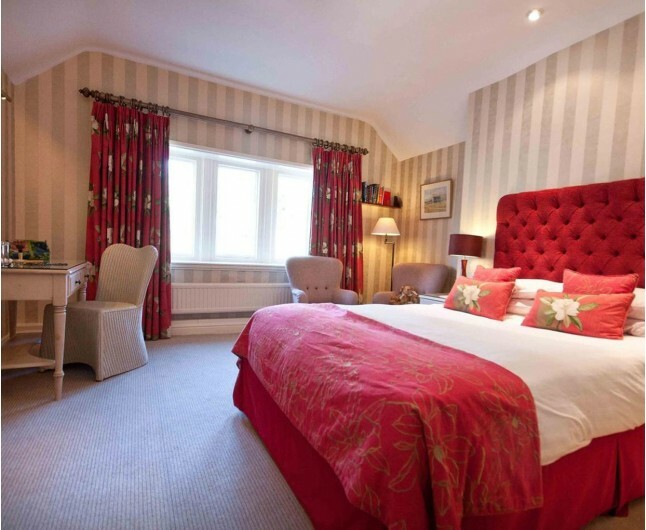 Your Hotel Break for Two in Derbyshire is a great choice to explore and indulge in luxury. A romantic stay in a twin or double room that is decorated luxuriously combining traditional elegance and contemporary style, to create the perfect atmosphere for a romantic break. 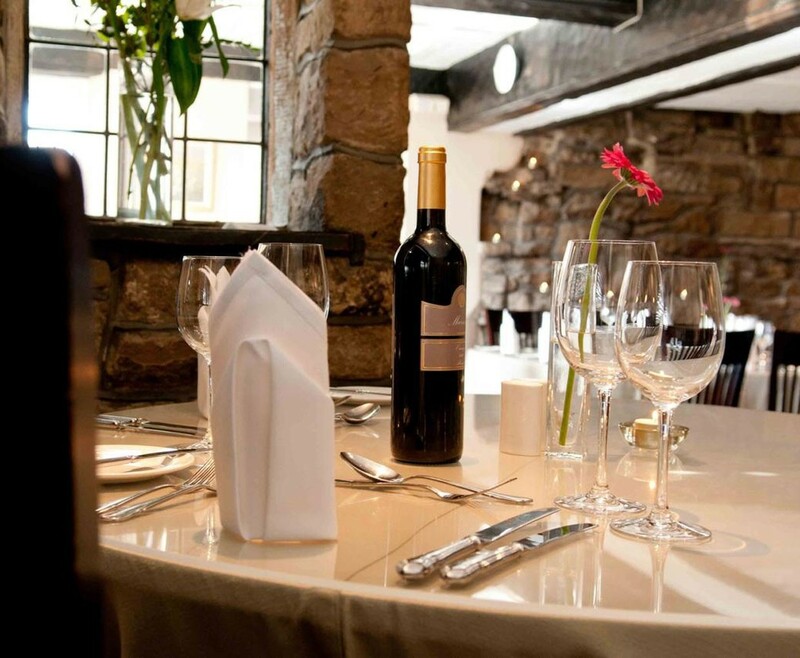 Once an old coaching inn, this 500 year old building now plays home to Georges dedicated staff and an ever increasing number of satisfied customers who choose to relax and unwind. 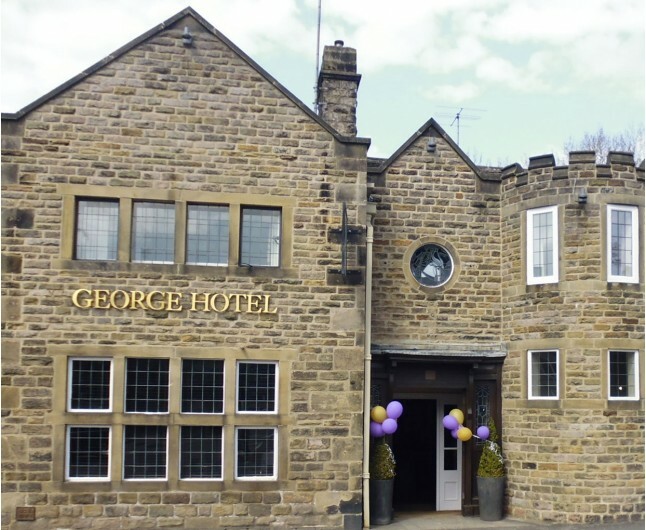 The Hotel Break for Two in Derbyshire at The George Hotel Hathersage is based on two people sharing a double or twin bedroom for one night. This experience is valid for 12 months from date of purchase. Breakfast for two people is included on the morning following your one night stay.